This is a special one … shhh! 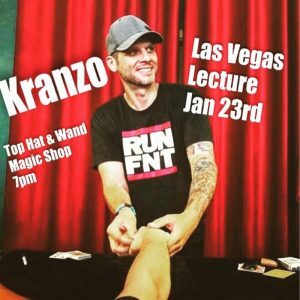 Nathan Kranzo is a close friend of mine (Kip Pascal), so it’s not fair for me to comment on his magic. Still … he’s awesome. And funny … in a quiet sort of way. His subtle humor gets me every time. And I look forward to learning a lot from our buddy. He’s squeezing in this Eugene workshop between Las Vegas and Portland. Thanks, Nate. Rudy Coby, also known as “Labman,” is one of the most creative and bizarre comedic magician working today. 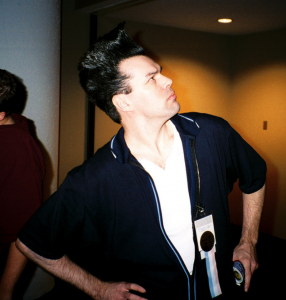 After a hiatus of 14 years, Coby returned to performing in 2009, including a well-received twelve-week run at the Galaxy Theater at Valleyfair, a theme park in Minneapolis. In 2012, he performed on the YouTube episode of America’s Got Talent during its seventh season, but did not advance to the semifinals. Currently a resident of Las Vegas, and member of the Magic Castle in Los Angeles, Rudy now joins the Can-Am Conjuring Lecture Series, as a finale to our 2018 season. Or 1-5 to the 30th Avenue Exit. P.S. Email me for any changes that you’d like to see on this page … or anywhere else on this site. I’ll help, if I can … and want to. Kidding … sort of.